If you have any questions about the OCEANA information page below please contact us. This motor yacht OCEANA is a superyacht of well proportioned proportions. This 30 m (99 foot) luxury yacht was the work of by Dragos Yatcilik Ve Turizm As in 2002. She could be described as a recent converted private yacht. Superyacht OCEANA is a superb yacht that can sleep up to 8 guests on board and has around 4 qualified crew. In 2002 she was formally launched with celebration in Istanbul and following sea trials and detailing was afterwards passed on to the new owner. Dragos Yatcilik Ve Turizm As completed their new build motor yacht in Turkey. The core hull was constructed with steel. 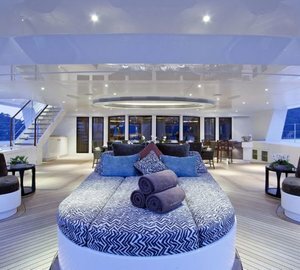 The motor yacht main superstructure is fabricated mostly using composite. With a beam of 7.41 m / 24.3 ft OCEANA has reasonable size. A reasonably shallow draught of 2.19m (7.2ft) selects the list of overall harbours she can berth in, depending on their minimum characteristics. The motor yacht is driven by twin CATERPILLAR diesel engine(s) and can manage a industrious max speed of 14 knots. The engine of the yacht creates 480 horse power (or 353 kilowatts). Her total HP is 960 HP and her total Kilowatts are 706. OCEANA is propelled by twin screw propellers. Bestowing space for a maximum of 8 welcome guests staying on board, the OCEANA accommodates them in style. She also carries approx 4 proficient crewmembers to run. 30.27 metres / 99.3 feet. The main engines are two 480 HP / 353 Kilowatts Caterpillar. The Model type is 3408B diesel. Onan 2 times 45 kilowatts. OCEANA features a teak deck. 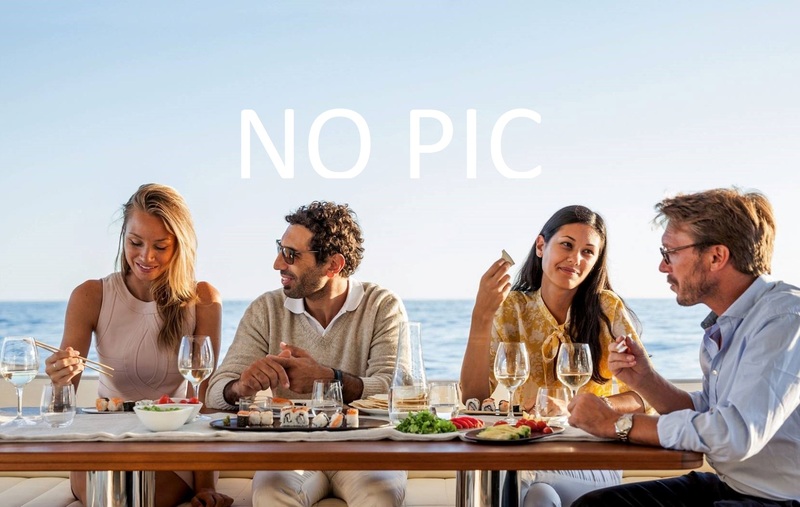 The luxury yacht OCEANA displayed on this page is merely informational and she is not necessarily available for yacht charter or for sale, nor is she represented or marketed in anyway by CharterWorld. This web page and the superyacht information contained herein is not contractual. All yacht specifications and informations are displayed in good faith but CharterWorld does not warrant or assume any legal liability or responsibility for the current accuracy, completeness, validity, or usefulness of any superyacht information and/or images displayed. All boat information is subject to change without prior notice and may not be current.